Wisdom Studios/PinChurch YouTube Channel – See the latest high-quality videos of events. Please subscribe by clicking here! Mystic Krewe Announcements Mailing list – Ask to join this list to receive occasional announcements of club activity. Pinball Help – A site maintained by Mike from the MK dedicated to helping people repair and restore games – stories and pictures of found games – hundreds of videos covering all types of technology and techniques. MK Member Need List – A list of items our club members need for various restoration/projects. 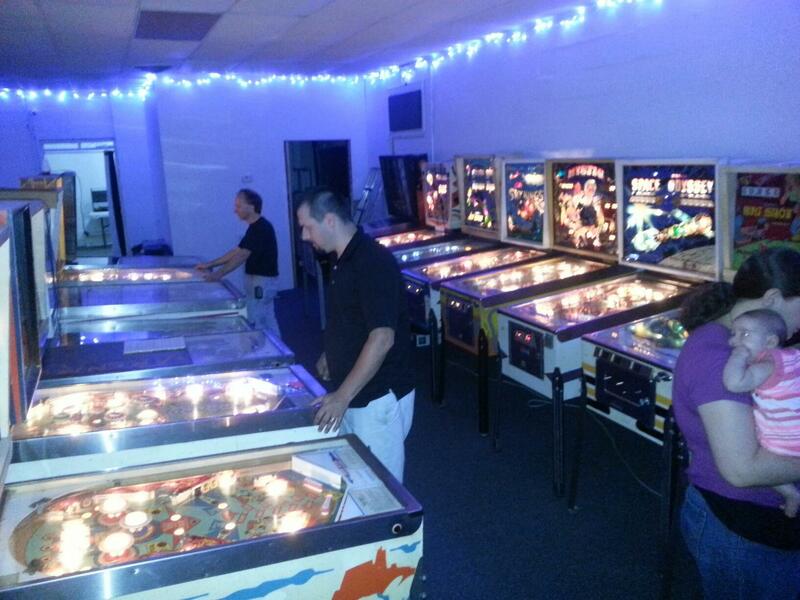 Louisiana Pinball Group/Mailing List – This is the public mailing list for pinball competition/tournament activity in the state of Louisiana. Arcade South Group/Mailing List – This is a public mailing list for Louisiana and interested parties regarding arcade/pinball/coin-op topics, buying/selling, etc. NOLATech Group/Mailing List – A public/open mailing list for tech/hacker/makerspace-related activity in the New Orleans area. Rec.Games.Pinball – The oldest mailing list/newsgroup dedicated to Pinball. Southern Pinball and Arcade Enthusiasts [Facebook Group] – Facebook group with industry news and activity from enthusiasts in the region. Internet Pinball Serial Number Database – Register your game serial numbers here and learn more about the games, how many were made and where they’re distributed around the world.